Home » The Forum » ITS ON IN DC! Sorry Oldensign…this is Dcski so i had to jump on your mojo…. The Don over at the SS threads brought up the fact that his Buddy DT at Wxrisk brought up a storm for early next week…I had been tracking it but was not ready to pull the plug and advertise it….Each run since Wxrisk prehyped it the scenerio has changed from something back to nothing and now into a kind of complicated big something..at least thats what the latest news is…who cares about how the storm evolves…Just give me the results!!! !..otay..her is what the Euro says…. Late march sledding in DC..whod a thunk it with the fireball called febuary?….Who gave up on Winter?…u know who u r…..dont be like that!!!! Here is the Gfs version of results….Heavier on the mountain side…Jackspot CANAAN!….boo? Mr Fish - please come thru for SS. Just got word that a good buddy of ours who blew out his knee last year is joing us next Thursday. I think most in the DC metero area would prever the GTFO model with Cherry Blossums blooming.. Personally, I’m ALWAYS up for throwing on some tele skis and pushing around the neighborhood after work under the streetlights. Bring it down here! Its a 2 part storm….1st one is leaving…(not really ..just a transfer of energy from an upper low inland to the coastal low..). Ah fish don’t waste the white stuff on DC, the days of Mayor Barry are long gone. Good ole Marion. His classic “line” B^^^h set me up. Then the Greaseman on DC 101 had a field day. Ahhhh..I remember my days as a bike courier in DC..thru Rain Sleet and Snow…make sure you lock up your Bike or you wont be able to go!…Ran into The mayor a couple of times..once while and then after he was mayor…ran into endless big names while bikeing then eventually buying a beat up toyota-mini van-Large Van-Truck….you never knew who you would run into on the streets of DC..actually almost ran over then Presidential Candidate Pat Buchannon…after he recovered from his shock I yelled out…All the way to the presidency sir!….. I remember during the Snowmageddon having to park ontop of a huge pile of plowed snow..it was huge ..I came back out after making delivery and had a fat ticket on my windshield…you needed a 4wheel drive to park on this snowdrift!….. The latest I ever remember a big snow in the DC Area was March 13….march 21/22 will be hard to pull off I would think…more popcorn and Natty Light…if it doesnt happen Ill say that Wxrisk Beache set me up! Meanwhile back at the camp, Dexter Manley said that the lone gun to the right of Ballhooter is blowing snow at 11:51 PM. 1 or 2 more on the otheside…u better unroll that dollar bill Don Mon..put it back in your wallet…..take a swig of whiskey and try to get some sleep.!.. Heavy wet 20”+/- snow approx March 20, 1958. My senior class from Arlington, VA was going to NY; the trip by train took over 10 hours due to wires and trees on tracks. So yes!, it can snow in late March in DC. DC forecast up to 8-12 inches for tomorrow. I’m supposed to fly to Denver tomorrow night to start my Vail trip. 8-12 possible, but low probability. Difficult storm to forecast. Good travel luck! The Snow Time slopes are all open. 12+ inches at Whitetail overnight with more coming down! FRESH POW! Need we say more? Mother Nature blessed us yesterday with between 12 and 14 inches of fresh natural powder and forecasts are calling for another 5 to 6 inches today! Powder hounds…we’ve left Bold Decision and Fanciful untouched for you to grab those first tracks. Pair these conditions with great deals, and you can’t go wrong!! Today we are skiing and riding from 8:30 am until 10 pm on a powder and packed powder surface with a 14-20 inch base. The weather for today calls for SNOW and a high temp of 37 degrees. All trails were groomed last night except for the Fanciful, Bold Decision, and Exhibition. Please Note: Adventure Snowtubing is closed at this time. If you’ve been wanting to learn how to ski or snowboard, we’ve got the deal for you! Our beginner “Learn To” package is now ONLY $49 for the remainder of the season. In addition, ALL Night Club Cards, Midweek Season Passes, and Night Season passes are valid ALL DAY, EVERY DAY, for the rest of the season! It’s definitely a great time to get out and enjoy the slopes. You can now purchase the 2018-2019 Season Pass and use it for the remainder of this season as well as next season. To purchase, just click on the Season Pass or stop by our guest service office. Wednesday 6am - The second wave of this epic spring storm is upon us! About 6” yesterday, 3” more overnight, and another 4-6” today! Winter Lives On at Liberty! 90% of the mountain open, most trails groomed overnight, but there will be fresh snow on top all day & night, great skiing and riding! Snow Tubing is now closed for the season, visit sister resort Roundtop for snow tubing fun. Wish I lived closer to Massanutten. Ski patrol found 8 inches at the top this morning and there was 5 inches already at the base. Winter Storm Toby has delivered 5” of new snow at the base and Patrol is reporting 8” up top. We will be open today, Wednesday, March 21 - Sunday, March 25 from 9 am - 5 pm. Winter Storm Warning in effect through 8:00 pm tonight with an additional 2” - 4” expected. As always, check our snow conditions page for the most up to date information regarding snow conditions and operating hours. Snow Tubing is closed for the season. The snowcats will mostly be left in the barn this morning so come out and enjoy some late season powder! ^^^^Ya, been snowing here since 8 and nothing is sticking.. Ground too warm.. I bet the local roads around Harrisonburg are a mess. Very few people at Massanutten looking at the webcam. A few instructors showed up for line up though. I-81 looks wet with traffic flowing though. 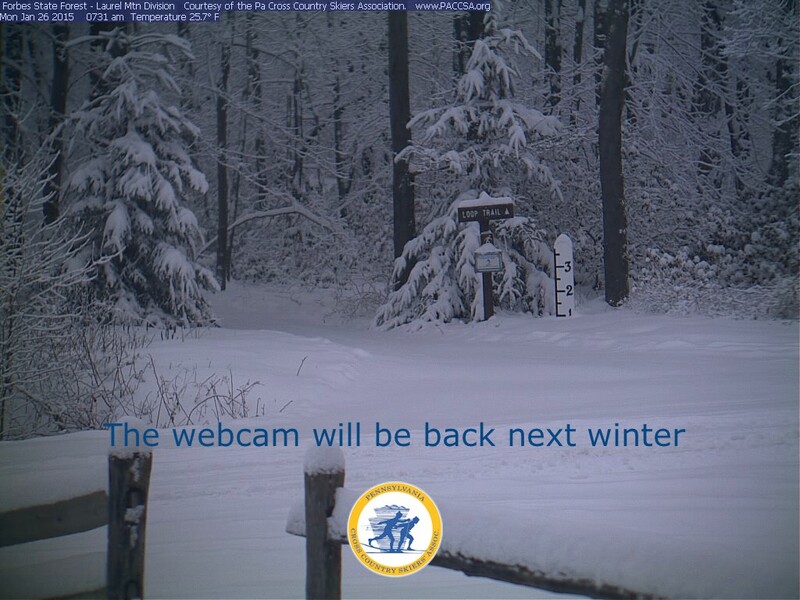 Wonder if anyone will try getting onto Wintergreen slopes since they are closed for the season. This is what you do CDart..you Seed your lawn…fill cups of crushed ice from your fridge and sprinkle the ice on your lawn…keep seeding and in no time you will notice little colonies of snow gathering..its like seeding an Oyster bar…b4 long you will have a white healthy lawn…good luck! There’s a dude on PugSki in Nebraska that has his own snow gun. Holiday decorations must be over the top LOL..
What about a pressure washer CDart?…bet that would work….Sorry for the seeding your yard Joke…Im just Sooooo Immature…. Over 10 inches at Pasadena,Md per my Sis so far…Sky Slurpee continues!…Awesome 5 bean soup n Cornbread in the House! Made it out no problem. In Denver now, about to start the drive up into the mountains. My brother only got about 4 inches at his house in DC. Apparently wet and heavy. He decided to shovel since it was supposed to freeze overnight. It’s already 35 as of 8am so most roads should be okay soon. Good thing for my friends who are flying to SLC on Friday for a spring break trip to Alta. Snowshoe is reporting a 48 hour total of 14 inches. Cheat mountain magic!